Ag land with a great producing well! This amazing ranch style home on 15.49 acres has all the amenities for comfortable country living. Remodeled large kitchen and dining, spacious great room, family room loft, sun room with beautiful views. Large master bedroom has private access to the hot tub. Sky lights, large covered porch for lounging out of the weather. Kerosene heat, electric heat and wood stove. Back patio with fire pit for entertaining family and friends with BBQ's under the stars. Small wine cellar. 2 story 2/2 apartment for company or extended guests. Large work shop. 4 stall barn for your ranch animals. Large flat, sunny area for your garden. 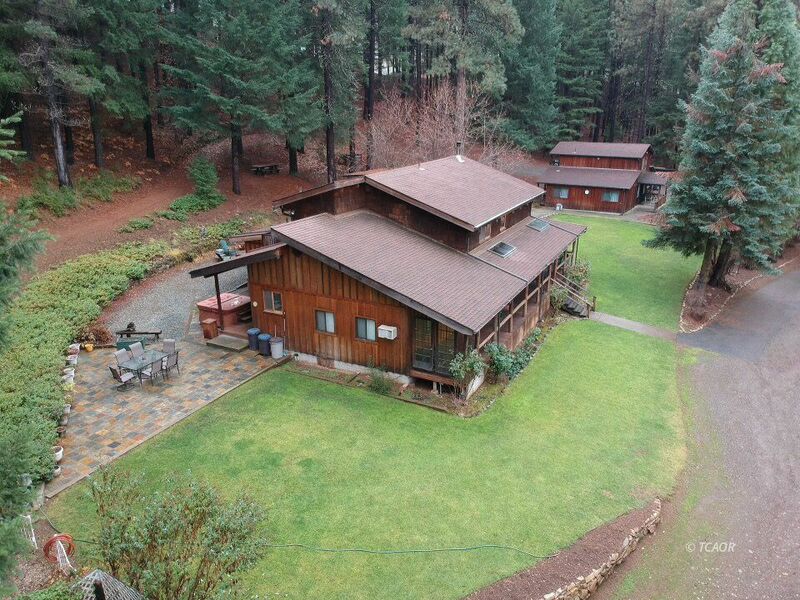 10 ft. deeded easement to Hayfork creek for swimming and fishing access. Just minutes from town for your convenience. This property has so much offer and is a must see! Make an appt today.